he south of Italy has experienced a veritable explosion in quality and originality since mid- to late 90s. 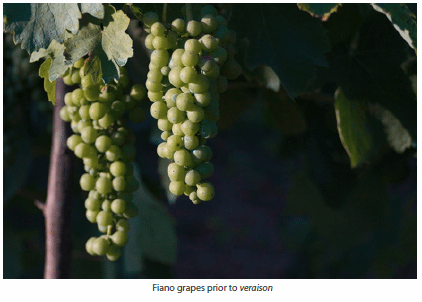 Once-isolated pockets of quality continue to mushroom and there is now quality as well as quantity from the ever swelling ranks of excellent producers in the Mezzogiorno. As in much of Italy the general standard of winemaking is at an unprecedented level. Add this to some high-quality vineyard sources, both new and old, and a rich hoard of ancient grape varieties (often Greek in origin) and you begin to see what is possible. The big three are Campania, Puglia and Sicily but don’t ignore some brilliant wines from Basilicata, Calabria and Sardinia too. All six regions serve up both good value bottles and world-class wines. Taurasi is Campania’s leading appellation, based on its most important grape, Aglianico. Its DOCG status may have once wanted for endorsement but now there are many good examples and a few outstanding wines which show the depth, structure and class that the grape can achieve when winemaking expertise is employed and the fruit quality has been maximised. Increasing amounts of good Greco di Tufo and Fiano di Avellino (both DOCG since 2003) are also produced in the Avellino hills but several of the best wines from this exciting area appear under the Irpinia IGT, the ancient name for the zone. Avellino’s leaders are Mastroberardino and Feudi di San Gregorio but good examples come from several others. To the north in the neighbouring province of Benevento another white, Falanghina, is starting to show real promise under the DOCs of Sannio, Sant’Agata dei Goti, Solopaca and Taburno. More good Aglianico also appears under each, especially the Aglianico del Taburno, which has now been granted DOCG status. Production is being led by the co-op, Cantina del Taburno. From vineyards in the Caserta province (nearer to Lazio), Aglianico is complemented by Piedirosso in increasingly good Falerno del Massico and reds from Aglianico vines on the slopes of the Roccamonfina volcano send the senses into overdrive (see Galardi). Red Lacryma Christi del Vesuvio from the slopes of Vesuvius is also based on Piedirosso. If you’re lucky enough to be visiting the island of Ischia or the Costa d’Amalfi there’s potential from these vineyards too; even if you’re not, at least try one of several fine whites based on Biancolella, from either Casa D’Ambra or Pietratorcia. Other new stars such as De Conciliis and Luigi Maffini are located in the south of Campania, revealing the potential of Fiano and Aglianico in the hills of Cilento. In Basilicata, as in Campania, the great red grape is Aglianico. What’s more it does exceedingly well here too with the right expertise. So if heading across to Puglia from Campania via the ancient city of Matera, first stop in the north where there now exists the opportunity to discover an ever increasing number of good sources of high quality examples of Aglianico del Vulture. The towns of Barile, Rionero in Vulture and Venosa are at the heart of an extensive DOC covering elevated slopes in the vicinity of the Monte Vulture volcano. Aglianico di Vulture Superiore, produced in the province of Potenza, has now been upgraded to DOCG status. Recent vintages of the top wines from Alovini, Le Querce, Cantine del Notaio or Elena Fucci, amongst others, may now be compared with those from Paternoster or D’Angelo, who are invariably the only sources of older wines of quality. Look out too for still newer names such as Giannattasio, Lelusi or the good value Grifalco. Good inexpensive examples also come from Cantine Sasso, and the Vulture and Venosa co-ops. More than anything else, Puglia provides value for money. Salice Salentino is the best-known of the many DOCs on the Salento peninsula that are based on the Negroamaro grape, but topped up with some Malvasia Nera. They range from simple gutsy, baked, raisiny examples to more complex, lush and sweet-fruited versions. Alezio, Copertino, Leverano and Squinzano offer similar reds if fewer good examples. The best Negroamaro comes from alberello (bush trained) vines and the reds of Brindisi are also based on it. Those who have long proven its potential, such as Cosimo Taurino and Vallone, are being joined by newer exponents including Conti Zecca, La Corte, Li Veli, Tenute Rubino, Tormaresca and Vetrere, accounting for a profusion of varietal examples (many excellent value) as well as blends based on Negroamaro but complemented by Montepulciano or Cabernet Sauvignon. Primitivo di Manduria (now DOCG) is the most important on the peninsula for Primitivo (a grape said to be identical to California’s Zinfandel if of discernably different character according to some winemakers). Primitivo also appears under broader IGTs such as Tarantino and several of the Salento peninsula’s best wines are sold as Salento IGT. There are now many good examples, several extremely good value for money. For something more unusual try an example of the Susumaniello grape, those from Tenute Rubino and Torre Guaceto (see Academia dei Racemi) highlight its potential. On the high plateau of central Puglia, Primitivo is also DOC in Gioia del Colle. To the north lies Castel del Monte and here Uva di Troia (also known as Nero di Troia), Montepulciano and Aglianico feature. All three varieties have excellent potential as is becoming increasingly apparent from the likes of Torrevento, Rivera or Tormaresca. The latter, Antinori’s southern outpost, is also using Cabernet Sauvignon. Uva di Troia is also an important planting on the rolling countryside in the very north of the region often as part of a Cacc’e mmitte di Lucera red (those from Alberto Longo and Petrilli are good). Rivera and Cantine Carpentiere are particularly instrumental in elevating the relatively unknown Castel del Monte wines to DOCG status as Bombino Nera, Nero di Troioa Riserva and Rosso Riserva. Falanghina and other varieties that are also common to neighbouring Molise are beginning to show promise here too. If Calabria is still seen as something of a backwater in more ways than one (both from the north and from outside Italy), its leading quality wine producers are more than making up for their relative lack of numbers. The best known DOC is Cirò, for a characterful red based almost exclusively on Gaglioppo, and a more ordinary white from Greco Bianco. Librandi are based here and have been a leader in the propagation of previously obscure, near extinct grape varieties. Two other DOCs, Savuto and Scavigna, used by Odoardi for wonderfully seductive reds, include a substantial proportion of Gaglioppo in the blend. Scavigna can also include significant percentages of Aglianico, Cabernet Sauvignon and Merlot. The change in Sicily over the past decade has been extraordinary and the wave of often excellent new producers shows little sign of abating. Many of the top reds are sold as Sicilia IGT. There has been a strong focus on the international varieties, especially Cabernet Sauvignon, Merlot, Syrah and Chardonnay, but even more attention is now being paid to the high quality native varieties led by Nero d’Avola, Nerello Mascalese and white Inzolia. 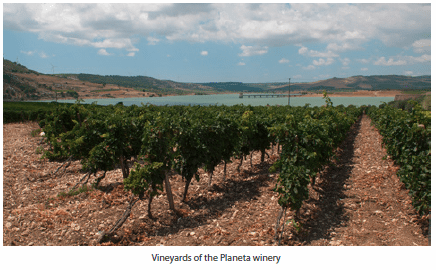 This mix of foreign and native seems to have helped in promoting Sicilian wines abroad – the success and acclaim with international varieties at worst serving as a kind of Trojan horse to facilitate a more sustained assault of native varieties. The sea of vines in the west of Sicily is why the island vies with Puglia as Italy’s most productive region. For long most of the wine has been pretty simple, dilute stuff but in the DOC zones of Marsala and Alcamo, as in pockets all over the island, there are also reds of unprecedented quality. From the central highlands, new names such as Feudo Montoni now add to the efforts of long standing producer Tasca d’Almerita in promoting quality. Other DOCs include Contessa Entellina, which covers a wide range of reds and whites of the producer Donnafugata, and, in the south, Cerasuolo di Vittoria (DOCG from 2006) where Frappato is added to Nero d’Avola for a characterful, concentrated and perfumed red (try from COS, Planeta or Valle dell’Acate). The vineyards on the lower slopes of Mount Etna are Etna DOC. Benanti is an established star and also the inspiration for something of a cult fringe that has developed on the northern slopes. As well as the Cambria brothers’ revitalised estate (Cottanera), here can be found a cluster of high profile growers including Frank Cornelissen, Andrea Franchetti (Passopisciaro), Mick Hucknall of Simply Red fame (Il Cantante) and Marc De Grazia (Terre Nere). All share a passion for uncompromising quality based on the Nerello Mascalese grape and there are already some outstanding wines. Further evidence of this variety’s nobility can be found north-east of Etna, in the small zone of Faro near Messina. Here its potential is harnessed in the brilliant reds of Palari. Down in the south-eastern corner both Moscato di Noto (see Planeta) and Moscato di Siracusa (see Pupillo) are being revived but more importantly it is emerging as a leading area for Nero d’Avola (where in fact the town of Avola is located). Other impressive sweet whites come from offshore. Malvasia delle Lipari comes from this volcanic island group to the north and Moscato di Pantelleria from an especially windswept volcanic island that lies closer to Tunisia than Sicily. The richer, sweeter Passito di Pantelleria versions from dried grapes are the most exciting – be sure and try those from Benanti, De Bortoli, Donnafugata and Solidea. Several of Sardinia’s DOCs are region-wide and typically account for everyday reds and whites of reasonable value if from a good source. These include Cannonau di Sardegna, Monica di Sardegna and Vermentino di Sardegna. 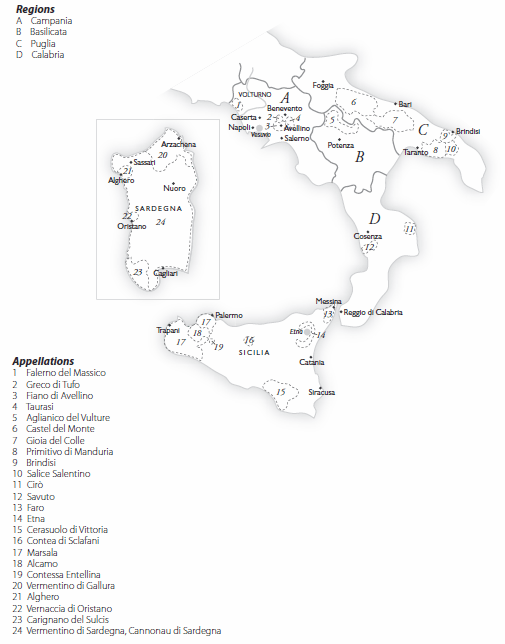 There is an increasing amount of fine Cannonau di Sardegna including that from Alberto Loi and Antichi Poderi Jerzu. However, some of the best wines containing Cannonau (a clone of Grenache), from the likes of Argiolas, Dettori or Feudi della Medusa, do not come under the regional DOC but are wines of much greater depth and complexity. Vermentino di Gallura, from a more restricted northern zone, is the island’s only DOCG but examples of both Vermentinos can be wonderfully fresh and aromatic (Capichera, Cantina Sociale Gallura, Giovanni Cherchi or Santadi for starters). Most of Sella & Mosca’s red wines fall under Alghero DOC, named for the town on the north-west coast. Carignano del Sulcis is also a more defined zone (in the south-west corner) where Santadi, the best of Sardinia’s many co-ops, is based and makes some remarkably good Carignano-based reds. Try too Barrua from Agripunica. Another pocket of exceptional Carignano is at Arzachena in the far north (see Capichera). Cagnulari is another Sardinian red variety of some potential that is beginning to be realised (Giovanni Cherchi or Feudi della Medusa). Vernaccia di Oristano is a small zone producing oxidised, sherry-like wines – those from Attilio Contini are of high quality.